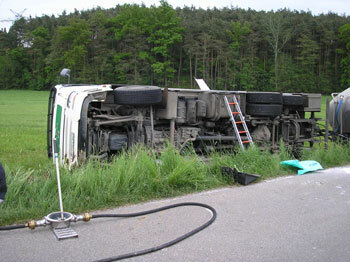 On 05/23/2006 at 07:37 a m the VFD Nittenau First Responder was alarmed for a truck accident between Nittenau and Thann. 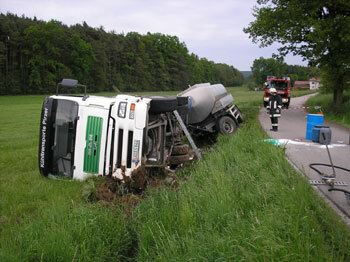 A truck loaded with milk wanted to dodge a car, got away from the road and upset. 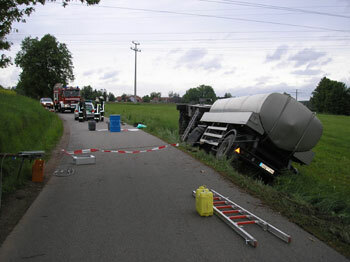 The truck driver was middle injured, the car driver had a slight shock. The also alarmed VFD Bergham secured the site and supported the recovery measures.